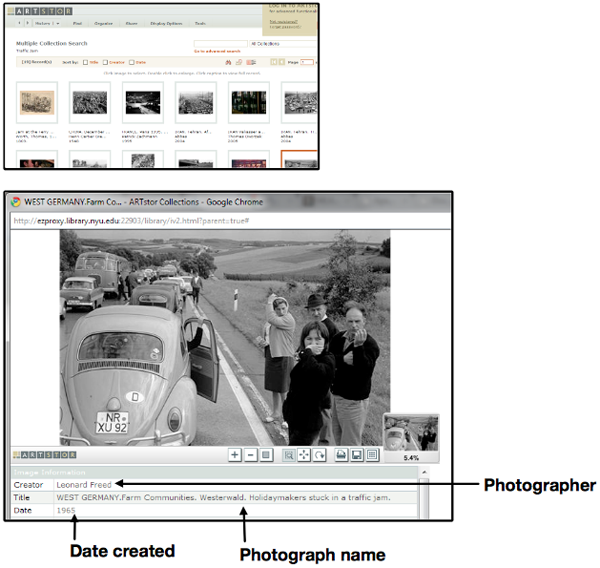 If citing multiple chapters from the same book, details of the book are given only once, with subsequent cross-references. 7. Anne Carr and Douglas J. Schuurman, "Religion and Feminism: A Reformist Christian Analysis," in Religion, Feminism, and the Family, ed. Anne Carr and Mary Steward van Leeuwen (Louisville, KY: Westminster John Knox Press, 1996), 11-32. 8. Elizabeth F. L. Ellet, "By Rail and Stage to Galena," in Prairie State: Impressions of Illinois, 1673-67, by Travelers and Other Observers, ed. Paul M. Angle (Chicago: University of Chicago Press, 1967), 271-79. 9. William H. Keating "Fort Dearborn and Chicago," in Prairie State (see note 6), 84-87. Short Form Notes: See also example 10 below. 7. Carr and Schuurman, "Religion and Feminism," 23. 9. Keating, "Fort Dearborn and Chicago," 87. Angle, Paul M, ed. Prairie State: Impressions of Illinois, 1673-1967, by Travelers and Other Observers, edited by Paul M. Angle, 271-79. Chicago: University of Chicago Press, 1968. Carr, Anne, and Douglas J. Schuurman, "Religion and Feminism: A Reformist Christian Analysis." In Carr and van Leeuwen, Religion, Feminism, and the Family, 11-32. Louisville, KY: Westminster John Knox Press, 1996. Ellet, Elizabeth F. L. "By Rail and Stage to Galena." In Angle, Prairie State, 271-79. Keating, William H. "Fort Dearborn and Chicago." In Angle, Prairie State, 84-87. Last, First M. Photograph Title. Month Date, Year Created. Collection, Museum/Institution, Location. 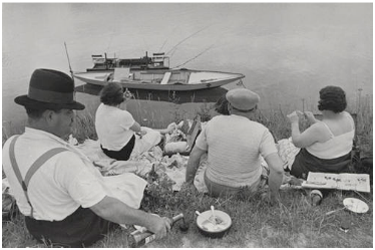 Cartier-Bresson, Henri. Juvisy, France. 1938. Museum of Modern Art, New York City. Last, First M. Photograph Title. Month Date, Year Created. Collection, Museum/Institution, Location. In Book Title. City: Publisher, Year Published. Bennett, Peter. Antique Shop, East Village. In New York City: A Photographic Portrait. Rockport: Twin Lights, 2007. Last, First M. Photograph Title. Month Date, Year Created. Collection, Museum/Institution, Location. Accessed Month Date, Year. URL. Cartier-Bresson, Henri. Juvisy, France. 1938. Museum of Modern Art, New York City. 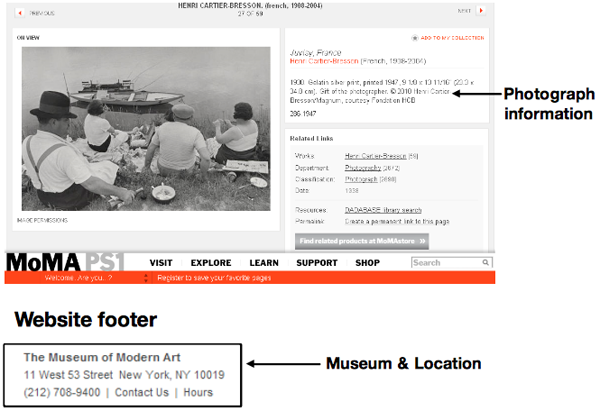 www.moma.org. Freed, Leonard. Holidaymakers Stuck in Traffic Jam. 1965. ARTstor. Last, First M. “Title.” Digital image. Website Title. Month Date, Year Published. Accessed Month Date, Year. URL. Guggenheim Museum in Spain. Digital image. HowStuffWorks. Accessed July 22, 2010. www.howstuffworks.com.